As its name implies, a partial knee replacement is a surgical procedure confined to a particular section of the knee. It is used to provide relief for patients with limited osteoarthritis. Osteoarthritis is the wearing away of articular cartilage (connective tissue) within a joint. Cartilage acts like a shock absorber, preventing a bone from scraping against another bone and allowing for smooth, stable movement within the joint. When the cartilage wears down, the joint becomes inflamed, you feel pain and stiffness, and your range of motion may become limited. With a partial knee replacement, only the damaged part of the cartilage is replaced with an implant, and the remainder of the healthy knee is maintained. It is appropriate for patients with joint degeneration localized to one of the three different compartments in the knee: medial (the inside portion of the joint nearest the opposite knee), lateral (the outside part of the joint farthest from the opposite knee), or patellofemoral (the front of the knee under the kneecap). Once reserved for older patients who were sedentary, partial knee replacement is increasingly being performed on younger, more active individuals. You may want to consider this procedure if your knee pain is persistent despite trying other nonoperative treatments for arthritis, and if your arthritis and symptoms are localized to one area of the knee. To determine if you are a candidate for a partial knee replacement, Dr. Gilbert will review your X-rays, have you identify the area of pain in your knee, and test your range of motion and your knee’s stability. Recovery after a partial knee replacement is typically faster and easier than recovery from a full knee replacement, and afterward patients often say that the knee feels more natural or normal to them, which makes sense as they have kept most of their own knee. 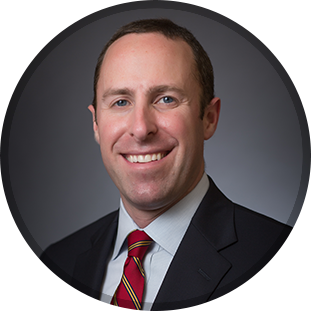 Dr. Brett J. Gilbert performs many partial knee replacements and will carefully evaluate your condition and individual goals before approving you for the procedure. To learn more about partial knee replacement and whether you’re a good candidate for one, schedule an appointment with Dr. Gilbert by calling our office at (919) 788-8797 or completing our convenient online form.